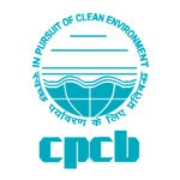 Central Pollution Control Board Published Advertisement for recruiting eligible applicants for posts of Scientist ‘B’, Assistant Law Officer, Senior Scientific Assistant, Lower Division Clerk, Field Attendant. There are total 21 vacancies available for these posts. Eligible and interested applicants may send their applications at below mentioned address. For more details see below advertisement link. Applicants may also visit official website www.cpcb.nic.in. Last date of application is 17th December 2017.